Seventeen years of try-pants competitive community action and counting! We continue to have successful weekly, private server battles every Monday -- drop us a message here or contact any of us to let us know if you'd like to come to the next one! The game keeps ticking -- it's almost been 2 years since release, can you believe that?! We've been keeping up these internal battles for months now and they're still super hot! A bunch of new friends (hi!!) have us rocking every Monday, thanks for the support and we'll see you in there -- tell us if there's anything you want/need/like/hate, all feedback appreciated! 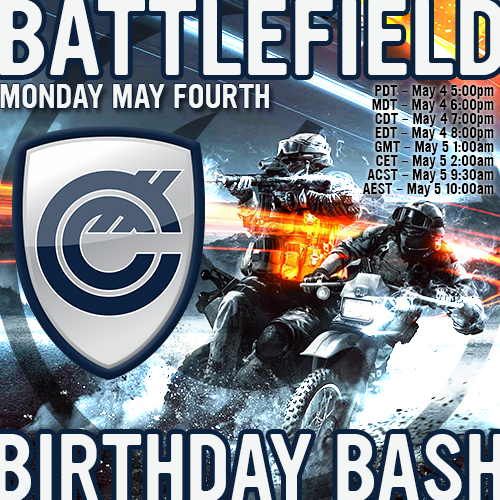 -- A LOT OF GUYS SEEM IN TO HAVING ANOTHER NIGHT PLANNED: tell us on Monday so we can schedule it PLS & TY! Well lads, we've had so many absolutely incredible experiences on our server over the past few weeks -- best in months! -- and these Mondays and Wednesdays have been off the hook! Coincidentally this coming Monday lands on our organizations 17th birthday; an unprecedented occasion! I'd like to extend an invite to absolutely everyone to come on down this Monday to join in the festivities and participate in something truly unique - you're going to love it! 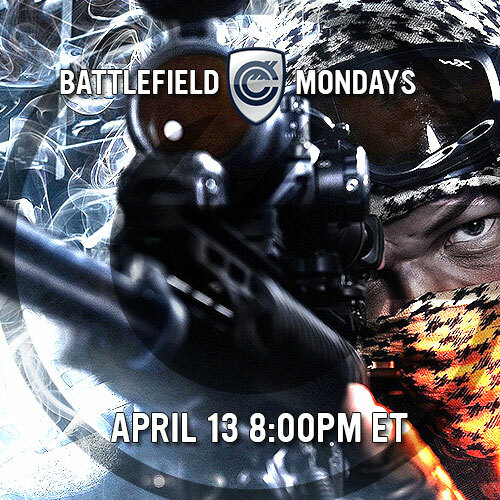 Don't forget Mondays and Wednesdays Battlefield4 8pm EST/5pm PST! We've launched another server -- hooah! ..just can't get enough of that Classic mode -- favourite/join/etc -- thanks! Finally figured out how to emblem!